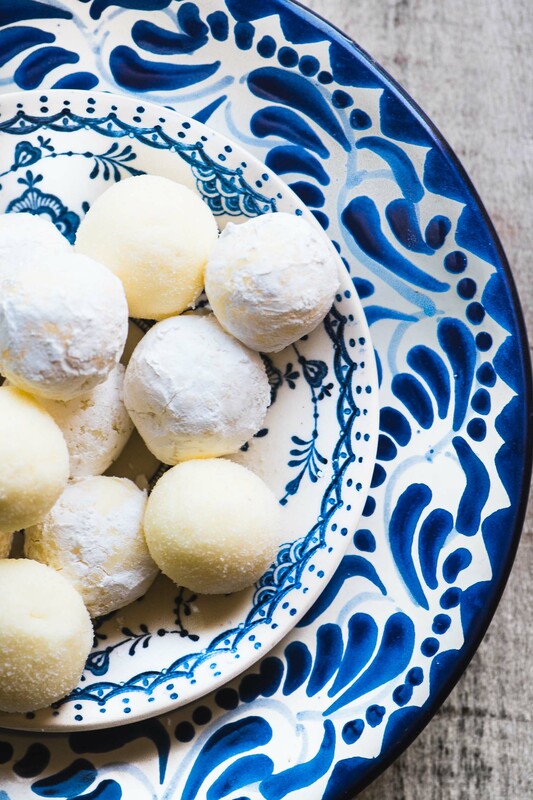 These Fresh Lemon Truffles are creamy confections with a bold citrus flavor. Rolled in sugar or dipped in dark chocolate ~ they make an unexpectedly light and bright homemade candy for chocolate and citrus lovers alike. 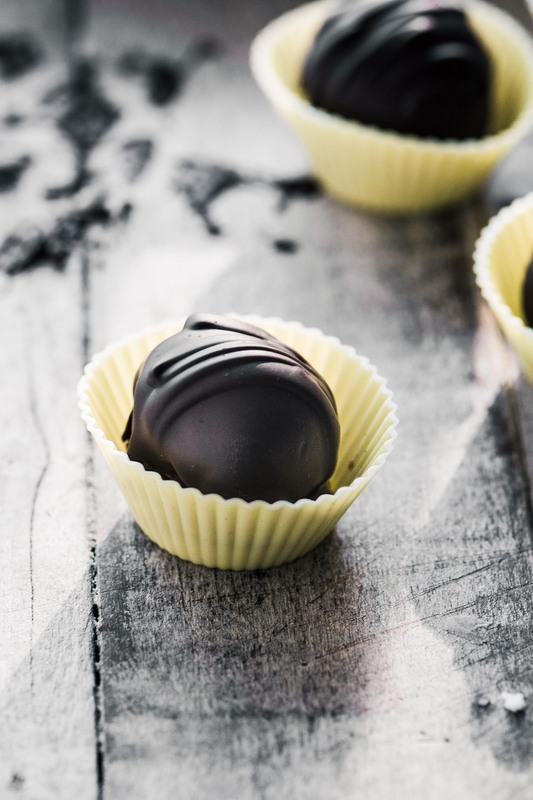 Lemon truffles are a tough nut to crack ~ it’s hard to get the true flavor of fresh lemon into a classic creamy ganache that will firm up enough to scoop and roll. Most recipes yield a wimpy, fake taste at best ~ some use zest, some use flavoring, some use cake mix (huh?) But the bright flavor of real lemon married with the mouthfeel of a classic creamy truffle is so mind blowing, so irresistible, so utterly enchanting, that it’s worth the trial and error to get it right. So here’s my take on a really lemony lemon truffle. 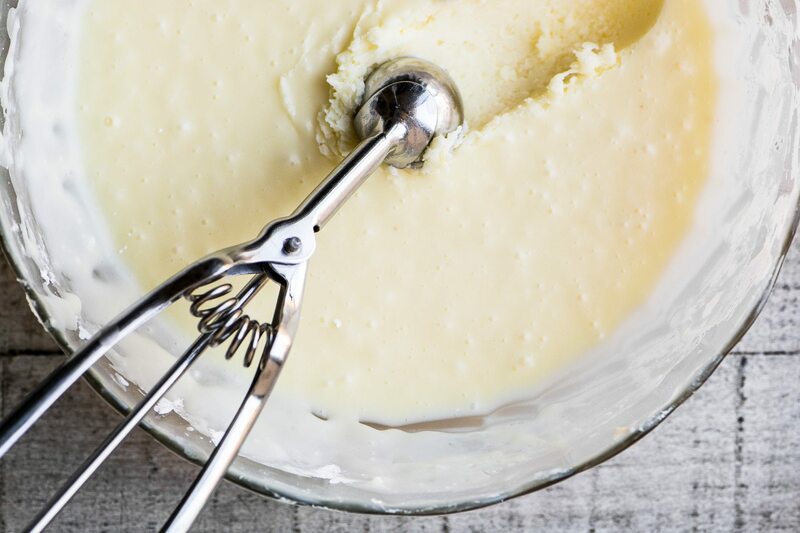 This recipe is made with fresh lemon juice, heavy cream, white chocolate (or confectionery,) some powdered sugar for stability, and a touch of lemon extract. I’ll show you how to roll them in sugar (granulated or powdered,) or dip them into dark chocolate for a decadent lemony treat. Whatever way you roll, these truffles are epic. 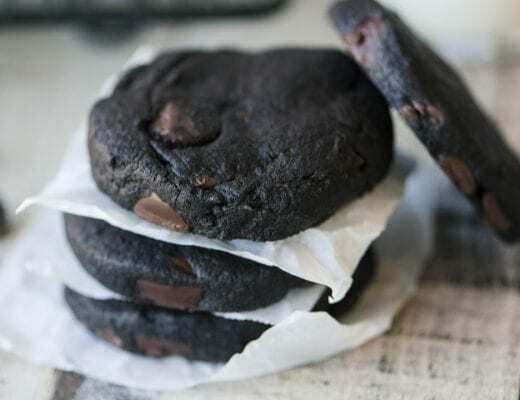 The dark chocolate enrobed version is inspired by classic candy shop truffles…I’m always the one picking through the box hunting for a tart lemon buttercream, but I’m most often disappointed. If you ask me the combination of lemon and dark chocolate is one of the most sophisticated flavor combos out there. 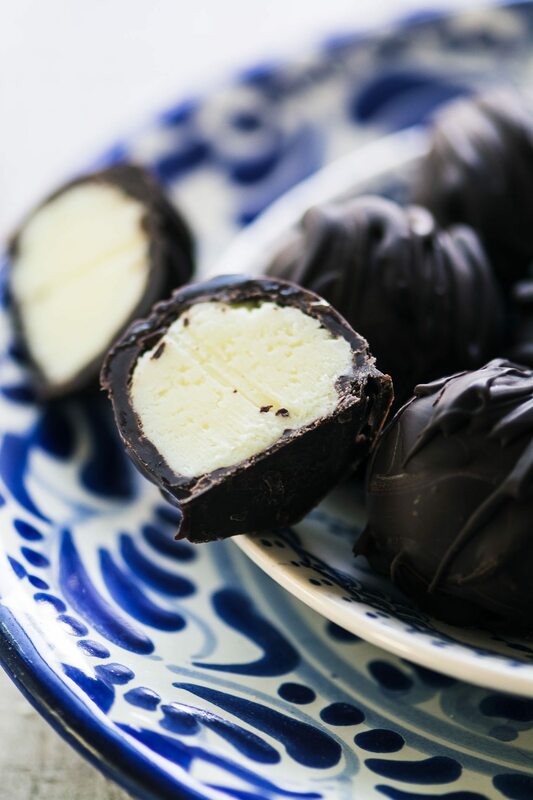 I’ve featured it before in my MEYER LEMON FILLED CHOCOLATES, which are an easy molded chocolate with a more liquid lemon filling. But chocolate isn’t the only game in town with these tart lemon truffles. For a super easy treat you can just roll them in sugar. Both powdered and granulated works ~ they look like little snowballs! TIP: It’s important to keep the truffles refrigerated because they’ll soften in warm room temperatures. I think the flavor is better when they’re chilled, anyway! Inexpensive Candy Dipping Tools are nice to have around, and make dipping these truffles in chocolate an easy process. Put the cream in a glass microwave safe bowl and microwave on high for a minute, or until it comes to a boil. Add the white chocolate, cover with plastic, and let sit for 10 minutes. Stir until the chocolate is melted and smooth. If necessary, put the bowl back in the microwave for 15 seconds to fully melt the chocolate. Don't over do the heat or the chocolate will scorch. Stir in one cup of the sugar, then the lemon juice and extract and blend well. Stir in the rest of the sugar and mix until smooth. Cover and refrigerate for 2 hours, or until firm enough to scoop. Use a small 1 inch cookie scoop to portion out the truffle mixture, and roll gently and quickly with your hands to form a smooth round ball. Work quickly because the warmth of your hand will soften the truffle. Roll each ball in either granulated or confectioner's sugar. Put them in the refrigerator until you are ready to eat them, and serve chilled. For chocolate dipped truffles you'll want the truffles to be extra cold, so I put the balls in the freezer for an hour before I dip them. If you want to coat all the truffles you'll need 24 ounces of chocolate. I think it's easier to split the chocolate in half and work in 2 batches. Microwave 12 ounces of chocolate in a microwave safe bowl on high for one minute. Remove and stir the chocolate. You will probably need to heat it for another 20 seconds, then stir again to melt all the chocolate. Let the chocolate cool for 15 minutes before dipping. Use a fork or candy dipping tool to dip the cold truffles into the chocolate and then on to a parchment lined surface. 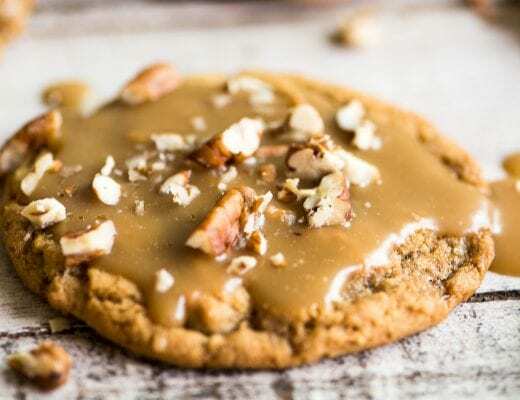 Let them harden at room temperature, then refrigerate until serving. Try using lime instead of lemon. 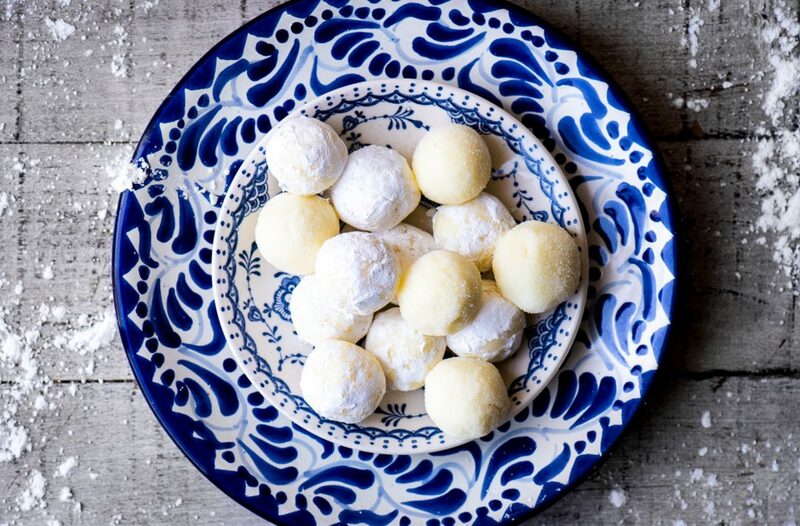 Decorate the truffles with a little bit of zest if you like. 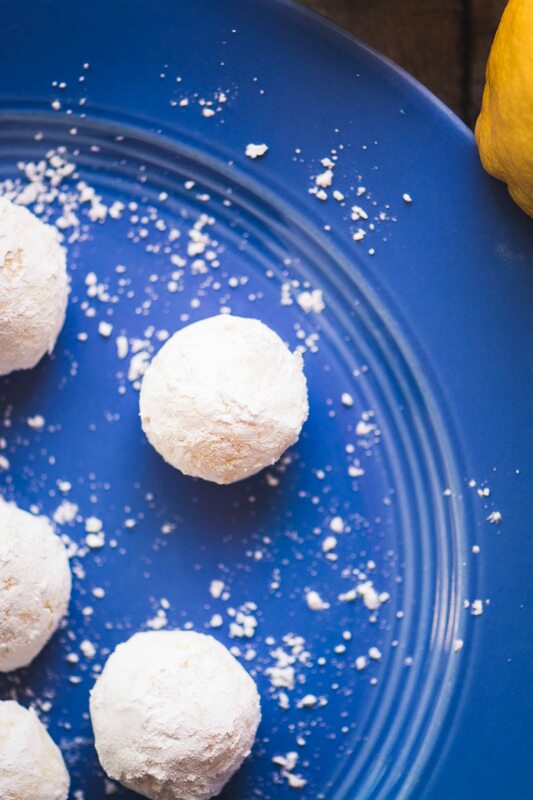 Don’t forget to pin these epic Fresh Lemon Truffles! Hi, Sue. I’d like to try making these for Easter. I’m planning to do as much advance prep work as possible. Do you think these truffles can be made ahead and stored successfully in the refrigerator or freezer? Thanks for all you do to inspire us in the kitchen! Yes, I do think they’d be fine frozen, or refrigerated. You could make them a few days ahead for refrigerator storage, and much longer for the freezer. Just be sure to freeze them solid first and then transfer them to a freezer safe container so they don’t stick together. There really are no better combinations than lemon and anything. Lemon and chocolate are sublime. I even add lemon to my fresh mushroom gravy. Trust me on this one. I always make lemon bon bins, this year I am borrowing your truffle recipe. I’m with you on lemon, it might be my favorite flavor of all. And also agree that lemon and chocolate is the most sophisticated combo there is. I’ve finished making the ganache and it’s almost time to roll them! I live in Australia and wasn’t able to find proper lemon extract, only lemon essence which i used instead. The mixture didn’t come out quite as lemony as i hoped (i am a citrus fiend). So i added about a tablespoon of very fine lemon zest as well. I might have to have a look on Amazon and see if i can get proper lemon extract for next time, as i think that’s the problem. Lemon zest is a good addition, Sara, especially if it’s very finely grated. You should be able to find a good lemon extract on Amazon. 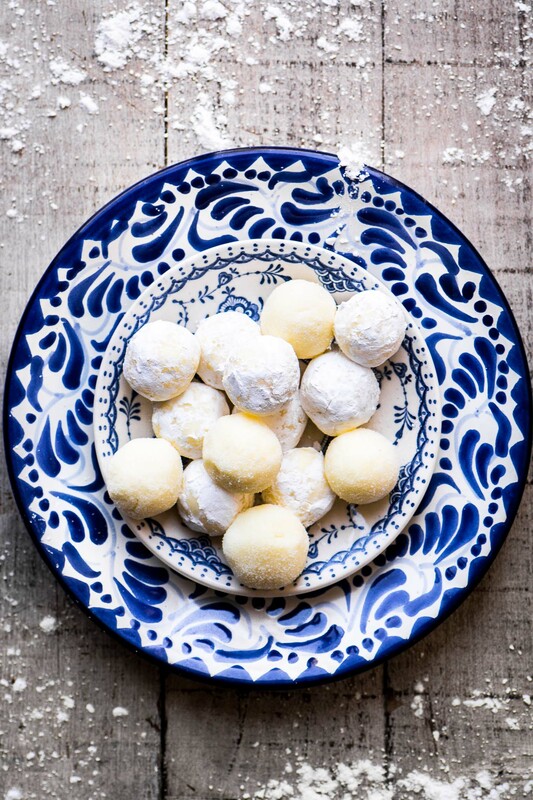 I love anything lemon, these truffles look divine! 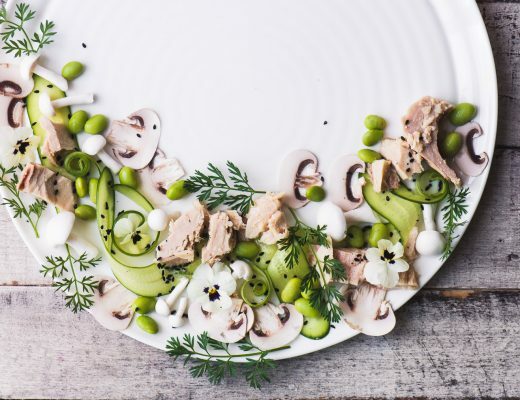 Can’t wait for your recipes for the new year. Thanks Brenda, I can’t wait to get cooking in 2018!! And I thought your grand marnier truffles were the ultimum! Sue, you give us one more step to move on! Yes, I will taste them, thank you! Sue, i will need your help here; the mixture does not firm enough to scoop it even after 8 hours in the fridge. I added a bit more sugar, a bit more chocolate, but still is unscoopable. Any suggestions? Thank you! Maybe try putting it in the freezer for a while, then scoop quickly and coat with the sugar, that helps keep them together. My son loves lemon so I just made these. They are fabulous. Nice fresh lemon flavour and a good change from regular chocolate. Hi Sue – curious what brand of lemon extract you’re using. I’ve tried a few and have yet to find one that tastes like real lemon. Thanks! Hey Kelly ~ I’ve used a few different brands, but the one in my cupboard right now is Watkins Pure Lemon Extract, and I like it. Sue, I love all things lemon (except cake mix – “huh?”) and am Pinning this. I can’t quite decide whether to roll them in confectioner’s or granulated sugar. Hmm … maybe some of each! Lemon truffles sound wonderful. I actually get a little tired of chocolate at this time of year! Thanks Linda ~ remember to keep them chilled, so tell your friend to put them in the fridge when you give them. These look great. Is it possible to do them on the stovetop instead of in the microwave? Absolutely, you can melt the chocolate over a double boiler. Wow – I need these in my life! The flavor must be fantastic and lemon is always the greatest!